I had a new vanity unit and toilet fitted in my downstairs cloakroom. I used A1 Building and Lans aping ... Christopher Halliday and his son Jay. 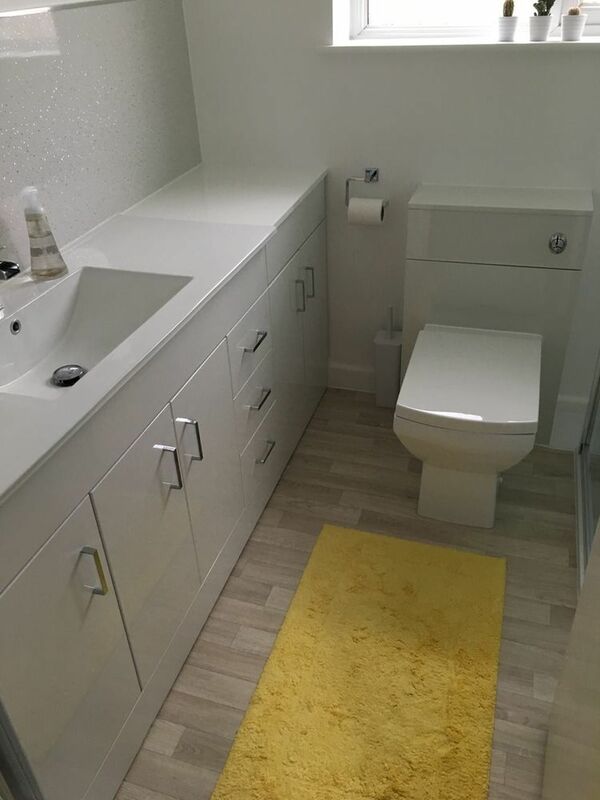 They did such an excellent job and I was thrilled with the outcome.It did involve needing the toilet being boxed in and I was very happy as to how this was done. I would thoroughly recommend them to anyone and subsequently have had a totally new bathroom done by them. Once again they have done an excellent job. I had the bath taken out and a walk in shower put in along with vanity units and a new toilet. They did everything .. downlighters , decorating and even laid the floor for me and put up a mirror and fitted loo roll holder too. I feel that they went above and beyond. I will be having a new kitchen fitted and without hesitation will be using them again. My neighbours have used them now for similar jobs ( on my recommendation) and have also been really pleased with their work. Good luck for the competition A1 Building & Landscaping !